So here´s my story as briefly as I can manage it. In my early 20´s my love of Spain began in a haphazard and random fashion. After finishing my TEFL teaching qualification, Madrid was presented as possibility of a place to live, and without knowing anything about Spain, I mean literally nothing at all (I was brought up on a farm on the Isle of Wight after all), or speaking a word of Spanish, off I scuttled to two years of intense immersion in Spanish culture albeit mostly of a nocturnal nature. I only just about managed to escape unscathed after too many nights spent on hot sweaty dance floors, but the seed was sown, and from that time, every opportunity I had to speak in Spanish would fill me with a joy and expressiveness that somehow eluded me in my own native land and language. 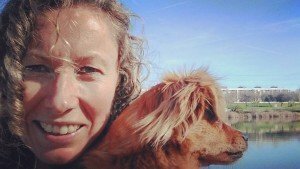 So fast foward 14 years, in which time I´d done my best to be a London, girl about town, TV chick, realised that wasn´t for me, retrained as Complementary Therapist, only to still have that sinking feeling in my gut that I was meant for something else. So, with a freak alignment of the stars and galaxies, the opportunity presented itself to come to live in Andalucia, working on a finca offering riding holidays and yoga retreats. I think it´s fair to say those 4 months at Finca el Moro in the Sierra de Andalucia changed my life. It was a reconnection with nature, horses, wide open spaces and most of all Spain. So when the end of my time was up, I knew there was no going back to my life in London. 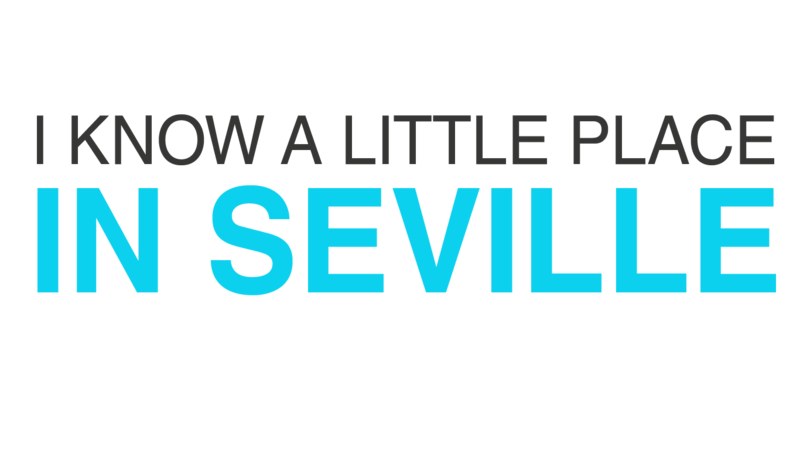 So that´s where Seville comes in. Based on a couple of days spent in the city, which seemed nice enough, and a couple of contacts made, I packed up my life, rented out my flat, resurrected my teaching qualification and booked my flight to the Andalucian capital. And so the adventure began. I came knowing that I would only get out of the experience what I put into it, and so right from the very start, I threw myself into every occasion and said yes to everything (with in reason). Be it Sevillanas classes, translating on a retreat of women searching for their inner goddess, flailing madly around in nightclubs, flailing madly around in indigenous Mexican dance rituals, organising Traffic Light Parties or taking in pregnant dogs off the street, I´ve given Seville all that I´ve got. And she´s given me a hell-of-a-lot in return. And I suppose that´s kind of how the blog started. I wanted to give back, inspire and cut out the crap for all those other intrepid adventurers who´ve come to this city. I don´t write negative reviews. If you see something in my blog, you can trust that I have experienced it first hand and have come away with a glowing feeling in my heart, thus feeling inspired to put finger to keyboard. So, I hope in some small way my meanderings enrich your experience in this beautiful, extraordinary and yet sometimes frustrating city.